Hi! I’m Christi Peterson. I am a native Idahoan and have resided in Idaho my entire life. I lived in eastern Idaho for 20+ years and have lived in western Idaho for 20+ years. Family and real estate are my passions. When I think of home, I think of family, and that’s why I’m dedicated to helping people get into their ‘perfect home’ where they can build those strong family relationships. I am number nine of twelve children. I am married and my husband and I have six children–we also have two grandchildren. Outside of real estate and my family’s activities, I love gardening, cooking/baking, building/creating, crafts, sewing, and serving others. I’ve owned two other successful businesses and find a lot of satisfaction in learning new things. 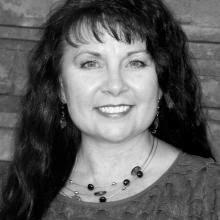 I love working with home buyers and am happy to help you find a home anywhere in southern Idaho. So whether you, or someone you know is interested in purchasing a home in the Boise or the Idaho Falls areas, give me a call and let’s find (or build) the home of your dreams. P.S. If you’re relocating outside of Idaho, I’d be happy to refer you to a qualified real estate agent in the area where you’ll be moving to.